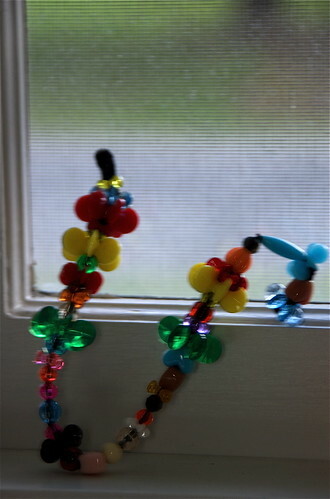 Leave kids alone with pipe cleaners and sparkly beads, and they’ll create the most wonderfully unexpected gifts. Bjørn has been stringing together letters for everyone in the family, and has spend a good amount of time in busy concentration over his treasures. I’ll say it now. I’m GLAD his Nintendo DS bit the dust. Just don’t tell him, ‘k?